I think it may be some form of orb weaver but i am no expert lol. 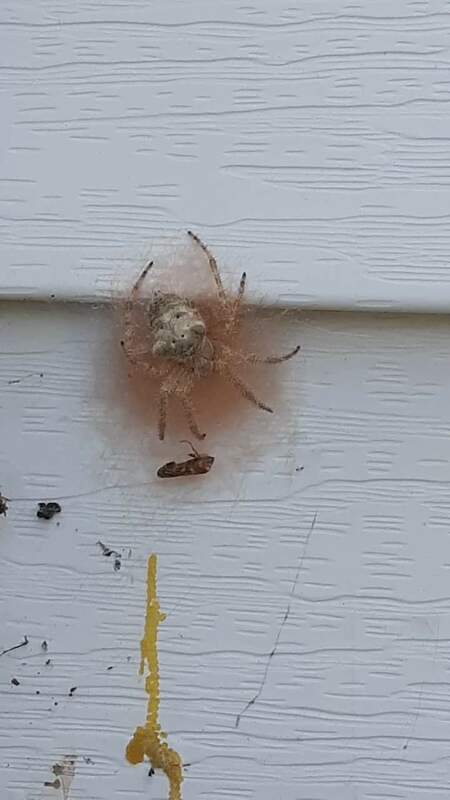 Looked like it was sitting on a nest so i beleive it to be a female. Anyone know what type of spider this could be? The webbing looked like a nest. there seemed to be several tiny white circular sack looking things which i could only assume where eggs. As far as the yellow stuff that was some kind of glue or foam.